This summer I spent some time talking with Edward Kmett about lots of things. (Which really means that he was talking and I was trying to keep up.) One of the topics was operads. 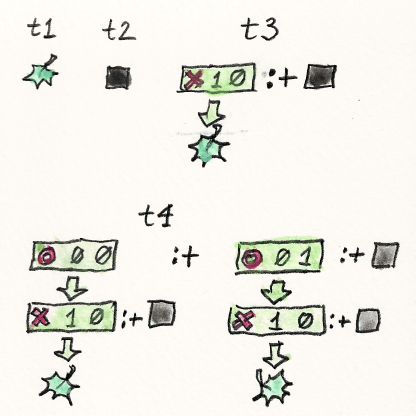 The ideas behind operads are not that hard, if you’ve heard about category theory. But the Haskell wizardry to implement them and their related monads and comonads might be quite challenging. 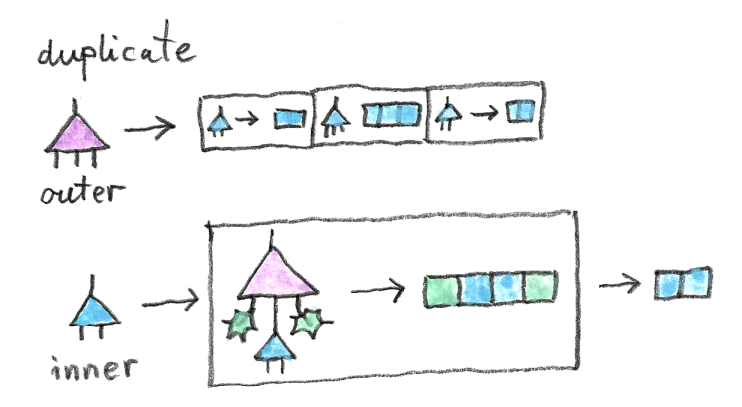 Dan Piponi wrote a blog post about operads and their monads some time ago. He used the operad-based monad to serialize and deserialize tree-like data structures. He showed that those monads may have some practical applications. But what Edward presented me with was an operad-based comonad with no application in sight. And just to make it harder, Edward implemented versions of all those constructs in the context of multicategories, which are operads with typed inputs. Feel free to browse his code on github. In case you feel a little overwhelmed, what follows may provide some guidance. Let me first introduce some notions so we can start a conversation. You know that in a category you have objects and arrows between them. The usual intuition (at least for a programmer) is that arrows correspond to functions of one argument. To deal with functions of multiple arguments we have to introduce a bit more structure in the category: we need products. A function of multiple arguments may be thought of as a single-argument function taking a product (tuple) of arguments. In a Cartesian closed category, which is what we usually use in programming, we also have exponential objects and currying to represent multi-argument functions. But exponentials are defined in terms of products. There is an alternative approach: replace single-sourced arrows with multi-sourced ones. An operad is sort of like a category, where morphisms may connect multiple objects to one. So the primitive in an operad is a kind of a tree with multiple inputs and a single output. You can think of it as an n-ary operator. Of course the composition of such primitives is a little tricky — we’ll come back to it later. Dan Piponi, following Tom Leinster, defined a monad based on an operad. It combines, in one data structure, the tree-like shape with a list of values. You may think of the values as a serialized version of the tree described by the shape. The shapes compose following operad laws. There is another practical application of this data structure: it can be used to represent a decision tree with corresponding probabilities. But a comonad that Edward implemented was trickier. Instead of containing a list, it produced a list. It was a polymorphic function taking a tree-like shape as an argument and producing a list of results. The original algebraic intuition of an operad representing a family of n-ary operators didn’t really fit this picture. The leaves of the trees corresponded to outputs rather than inputs. We racked our brains in an attempt to find a problem for which this comonad would be a solution — an activity that is not often acknowledged but probably rather common. 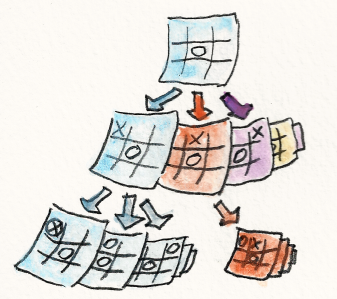 We finally came up with an idea of using it to evaluate game trees — and what’s a simpler game than tic-tac-toe? So, taking advantage of the fact that I could ask Edward questions about his multicategory implementation, I set out to writing maybe the most Rube Goldberg-like tic-tac-toe engine in existence. Here’s the idea: We want to evaluate all possible moves up to a certain depth. We want to find out which ones are illegal (e.g., trying to overwrite a previous move) and which ones are winning; and we’d like to rank the rest. Since there are 9 possible moves at each stage (legal and illegal), we create a tree with the maximum branching factor of 9. The manipulation of such trees follows the laws of an operad. The comonadic game data structure is the evaluator: given a tree it produces a list of board valuations for each leaf. The game engine picks the best move, and then uses the comonadic duplicate to generate new game states, and so on. This is extremely brute force, but Haskell’s laziness keeps the exponential explosion in check. I added a bit of heuristics to bias the choices towards the center square and the corners, and the program either beats or ties against any player. The biggest challenges were related to existential types and to simple arithmetic laws, which we normally take for granted but which have to be explicitly stated when dealing with type-level natural numbers. Notice that n and m are types rather than values. This definition is very similar to the definition of a list as a GADT, except that it keeps track of the compile-time size of the vector. So the VNil constructor creates a vector of size Z, which is the compile-time representation of zero. The VCons constructor takes a value of type a and a vector of size n, and produces a vector of size (S n), which stands for the successor of n.
Now the compiler, seeing the use of Z and S in the definition of Vec, can deduce that n is of kind Nat. The kind Nat is inhabited by types, but these types are not inhabited by values. You cannot create a value of type Z or S Z. So, in data definitions, these types are always phantom types. You don’t pass any values of type Z, S Z, etc., to data constructors. Look at the two Vec constructors: VNil takes no arguments, and VCons takes a value of type a, and a value of type Vec n a. An incomplete pattern would result in a runtime error. Here, trying to call headV with VNil produces a compile-time error. Here, n is a type whose kind is Nat (this can be deduced from the use of S acting on n). Notice that Fin n is a regular inhabited type. In other words its kind is * and you can create values of that type. Let’s see what the inhabitants of Fin n are. Using the FinZ constructor we can create a value of type Fin (S n), for any n. But Fin (S n) is not a single type — it’s a family of types parameterized by n. FinZ is an example of a polymorphic value. It can be passed to any function that expects Fin One, or Fin Two, etc., but not to one that expects Fin Z. The FinS constructor takes a value of the type Fin n and produces a value of the type Fin (S n) — the successor of Fin n.
Any attempt at access beyond the end of a vector will result in a compilation error. show Cross  = " X "
An empty board is filled with Nothing. The game engine will be dealing with trees of moves. The trees are edge labeled, each edge corresponding to an actual or a potential move. The leaves contain no information, they are just sentinels. You may recognize this data structure as an edge-labeled version of a rose tree. Here are a few examples of MoveTrees. The last tree describes two possible branches: A circle at (0, 0) followed by a cross at (1, 0); and a circle at (0, 1) followed by a cross at (1, 0). The compile-time parameter n in MoveTree n counts the number of leaves. Notice that the compiler won’t be able to deduce from these definitions that, for instance, m + Z is the same as m. We’ll have to do something special when the need arises — when we are forced to add a zero on the right. Compile-time arithmetic is funny that way. The nice thing about move trees is that they are composable. It’s this composability that allows them to be used to speculatively predict multiple futures of a game. Given a current game tree, we can extend it by all possible moves of the computer player, and then extend it by all possible countermoves of the human opponent, and so on. This kind of grafting of trees on top of trees is captured by the operad. 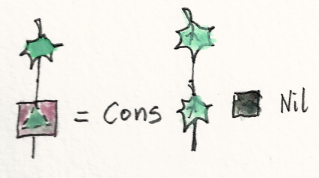 What we are going to do is to consider our move trees as arrows with one or more inputs. Here things might get a little confusing, because a natural interpretation of a move tree is that its input is the first move, the root of the tree; and the leaves are the outputs. But for the sake of the operad, we’ll reverse the meaning of input and output. In Haskell, we define a category by specifying the hom-set as a type. Then we define the composition of morphisms and pick the identity morphisms. We’ll do a similar thing with the operad. The difference is that an arrow in an operad is parameterized by the number of inputs (leaves of the tree). Continuing with the theme of compile-time safety, we’ll make this parameterization at compile-time. The analog of the identity arrow will have a single input. Here, f is a compile-time function from Nat to a regular type — in other words, a data type parameterized by Nat. The identity has one input. Composition takes an n-ary arrow and a forest with m inputs and n outputs. As usual, the obvious identity and associativity laws are assumed but not expressible in Haskell. I’ll define the forest in a moment, but first let’s talk about the additional constraint, Graded f.
Conceptually, a Graded data type provides a way to retrieve its grade — or the count for a counted data structure — at runtime. But why would we need runtime grade information? Wasn’t the whole idea to perform the counting at compile time? It turns out that our compile-time Nats are great at parameterizing data structures. Types of the Nat kind can be used as phantom types. But the same trick won’t work for parameterizing polymorphic functions — there’s no place to insert phantom types into definitions of functions. A function type reflects the types of its arguments and the return type. So if we want to pass a compile-time count to a function, we have to do it through a dummy argument. You can also define a function for adding such values. It’s a polymorphic function that takes two singletons and produces another singleton. It really performs addition on types, but it gets the types at compile time from its arguments, and produces a singleton value of the correct type. With those preliminaries out of the way, we are ready to implement the Operad instance for the MoveTree. We pick the single leaf tree as our identity. Before we define composition, we have to define a forest. It’s a list of trees parameterized by two compile-time integers, which count the total number of inputs and outputs. A single tree f (our multi-input arrow) is parameterized by the number of inputs. It has the kind Nat->*. The Nil constructor creates an empty forest with zero inputs and zero outputs. The Cons constructor takes a tree with i1 inputs (and, implicitly, one output), and a forest with i2 inputs and n outputs. The result is a forest with i1+i2 inputs and n+1 outputs. It produces a tree by plugging the outputs of a forest in the inputs of a tree. This should work, since the leaf has one input, and the single-tree forest has one output. Looking at the signature of compose, the compiler should be able to deduce that n in the definition of compose should be replaced by S Z. Let’s follow the arithmetic. The forest is the result of Consing a tree with i1 inputs, and a Nil forest with Z inputs and Z outputs. By definition of Cons, the resulting forest has i1+Z inputs and S Z outputs. So the ns in compose match. The problem is with unifying the ms. The one from the forest is equal to i1+Z, and the one on the right hand side is i1. And herein lies the trouble: we are adding Z on the right of i1. As I mentioned before, the compiler has no idea that i1+Z is the same as i1. We’re stuck! The solution to this problem requires some cheating, as well as digging into the brave new world of constraint kinds. Constraints are inhabitants of a special kind called Constraint. Besides type equality, they can express typeclass constraints like Eq or Num. Here, Stringy, just like Show and Read, is of the kind * -> Constraint. Unlike regular types of kind *, constraints are not inhabited by values. You can use them as contexts in front of the double arrow, =>, but you can’t pass them as runtime values. is translated to a function of two variables, one of them being the virtual table for the typeclass Show. When you call print with an Int, the compiler finds the virtual table for the Show instance of Int and passes it to print. The difference is that now we are trying to do explicitly what the compiler normally hides from us. Notice that Dict has only one constructor that takes no arguments. You can construct a Dict from thin air. But because it’s a polymorphic value, you either have to specify what type of Dict you want to construct, or give the compiler enough information to figure it out on its own. But the compiler is not able to verify an infinite family of constraints. We are stuck! This is to be expected: We are hitting the limits of Haskell. Haskell is not a dependent type language and it’s not a theorem prover. It’s possible to avoid some of the ugliness by using TypeLits, but I wanted to show you the low level details. To truly understand the meaning of constraints, we should take a moment to talk about the Curry-Howard isomorphism. It tells us that types are equivalent to propositions: logical statement that can be either true or false. A type that is inhabited corresponds to a true statement. Most data types we define in a program are clearly inhabited. They have constructors that let us create values — the inhabitants of a given type. Then there are function types, which may or may not be inhabited. If you can implement a function of a given type, then you have a proof that this type is inhabited. Things get really interesting when you consider polymorphic functions. They correspond to propositions with quantifiers. We know, for instance, that the type a->a is inhabited for all a — we have the proof: the identity function. A type like Dict is even more interesting. It explicitly specifies the condition under which it is inhabited. The type Dict a is inhabited if the constraint a is true. For instance, (n ~ n) is true, so the corresponding dictionary, Dict (n ~ n), can be constructed. What’s even more interesting is that, if you can hand the compiler an instance of a particular dictionary, it is proof enough that the constraint it encapsulates is true. The actual value of plusZ is irrelevant but its existence is critical. So how do we bring it to the compiler’s attention? One way is to pass the dictionary as an argument to a function, but that’s awkward. In our case, the signature of the function compose is fixed. A better option is to bring a proof to the local scope by pattern matching. This lets the compiler unify the n in the original definition of plusZ with our local m. Finally we pattern-match plusZ to its constructor, Dict. Obviously, the match will succeed. We don’t care about the result of this match, except that it introduces the proof of (m ~ (m + Z)) into the inner scope. It will let the compiler complete the type checking by unifying the actual type of t with the expected return type of compose. In the recursive case we have to split the forest frt into the part that matches the inputs of the tree t, and the remainder. 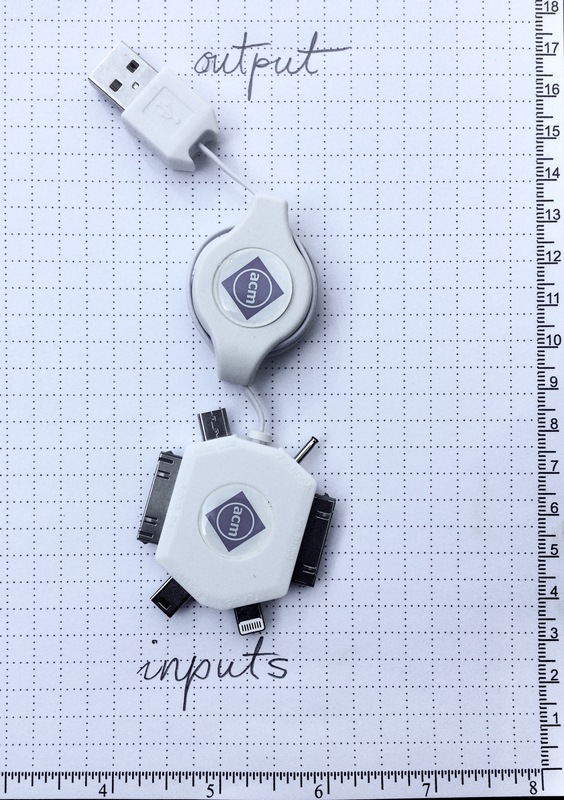 The number of inputs of t is given by its grade — that’s why we needed the operad to be Graded. If Forest was a simple list of trees, splitting it would be trivial: there’s even a function called splitAt in the Prelude. The fact that a Forest is counted makes it more interesting. But the real problem is that a Forest is parameterized by both the number of inputs and outputs. We want to separate a certain number of outputs, say m, but we have no idea how many inputs, i1, will go with that number of outputs. It depends on how much the individual trees branch inside the forest. We create three Proxy values and call the function plusAssoc, which returns a dictionary that witnesses the associativity of the addition of the three Nats. compose _ _ = error "compose!" 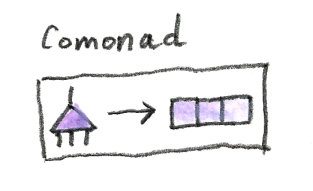 A comonad is the dual of a monad. Just like a monad lets you lift a value using return, a comonad lets you extract a value. And just like a monad lets you collapse double encapsulation to single encapsulation using join, a comonad lets you duplicate the encapsulation. In other words, a monad lets you put stuff in and reduce whereas a comonad lets you take stuff out and reproduce. A list monad, for instance, implements return by constructing a singleton list, and join by concatenating a list of lists. An infinite list, or a stream comonad, implements extract by accessing the head of the list and duplicate by creating a stream of consecutive tails. An operad can be used to define both a monad and a comonad. 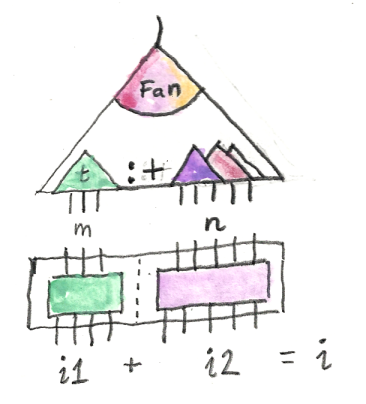 The monad M combines an operadic tree of n inputs with a vector of n elements. Monadic return combines the operadic identity with a singleton vector, whereas join grafts the operadic trees stored in the vector into the operad using compose and then concatenates the vectors. This function, when called with an operadic tree f m, which I’ll call the outer tree, must produce m new evaluators. What should the kth such evaluator do when called with the inner tree fi? The obvious thing is to graft the inner tree at the kth input of the outer tree. We can saturate the rest of the inputs of the outer tree with identities. Then we’ll call the evaluator ev with this new larger tree to get a larger vector. Our desired result will be in the middle of this vector at offset k.
Notice that we didn’t have to use the Proxy trick in succAssoc n m, since we had the singletons handy. The W comonad works with any operad, in particular it will work with our MoveTree. Evaluation includes a single-branch MoveTree One, which is the list of moves that led to this evaluation. In particular, the singleton Evaluation returned by extract will contain the history of moves up to the current point in the game. Let’s see what duplicate does in our case. It produces a vector of TicTacToe games, each containing a new evaluator. These new evaluators, when called with a move tree, whether it’s a single move, a tree of 9 possible moves, a tree of 81 possible moves and responses, etc. ; will graft this tree to the corresponding leaf of the previous game tree and perform the evaluation. We’ll call duplicate after every move and pick one of the resulting games (evaluators). This blog post is mostly about operads and comonads, so I won’t go into a lot of detail about implementing game strategy. I’ll just give a general overview, and if you’re curious, you can view the code on github. The heart of the operadic comonad is the evaluator function. To start the whole process running, we’ll create the initial board. We’ll use the function eval that takes a board and returns an evaluator (which is eval partially applied to the board). putStrLn "Make your moves by entering x y coordinates 1..3 1..3." 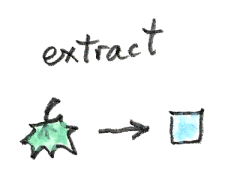 The evaluator is a function that takes a MoveTree and returns a vector of Evaluation. If the tree is just a single leaf (that’s the identity of our operad), the evaluation is trivial. The interesting part is the evaluation of a Fan of branches. The branch evaluator must account for the possibility that a move might be invalid — it has to test whether the square has already been marked on the board. If it’s not, it marks the board and evaluates the move. First, there are two simple cases: the move could be a winning move or a losing move. In those cases when the result is known immediately, that is Bad, Win, or Lose, evalBranch returns a vector of the size determined by the number of leaves in the branch. The vector is filled with the appropriate values (Bad, Win, or Lose). The interesting case is when the move is neither invalid nor decisive. In that case we recurse into eval with the new board and the sub-tree that follows the move in question. We gather the resulting evaluations and adjust the scores. If any of the branches results in a loss, we lower the score on all of them. Otherwise we add the score of the current move to all scores for that tree. At the very top level we have the game loop, which takes input from the user and responds with the computer’s move. A user move must be tested for correctness. First it’s converted to two Fin Three values (or Nothing). Then we create a singleton MoveTree with that move and pass it to the evaluator. If the move is invalid, we continue prompting the user. If the move is decisive, we announce the winner. Otherwise, we advance the game by calling duplicate, and then pick the new evaluator from the resulting tree of comonadic values — the one corresponding to the user move. To generate the computer response, we create a two-deep tree of all possible moves (that is one computer move and one user move — that seems to be enough of the depth to win or tie every time). We call the evaluator with that tree and pick the best result. Again, if it’s a decisive move, we announce the winner. Otherwise, we call duplicate again, and pick the new evaluator corresponding to the selected move. Does it make sense to implement tic-tac-toe using such heavy machinery? Not really! But it makes sense as an exercise in compile-time safety guarantees. I wouldn’t mind if those techniques were applied to writing software that makes life-and-death decisions. Nuclear reactors, killer drones, or airplane auto-pilots come to mind. Fast stock-trading software, even though it cannot kill you directly, can also be mission critical, if you’re attached to your billions. What’s an overkill in one situation may save your life in another. You need different tools for different tasks and Haskell provides the options. Thanks go to André van Meulebrouck for his editing help.